English-American psychologist who applied mathematical techniques to the study of psychology and developed the 16 Personality Factor (16PF) test. From The Scientific Analysis of Personality (1965). 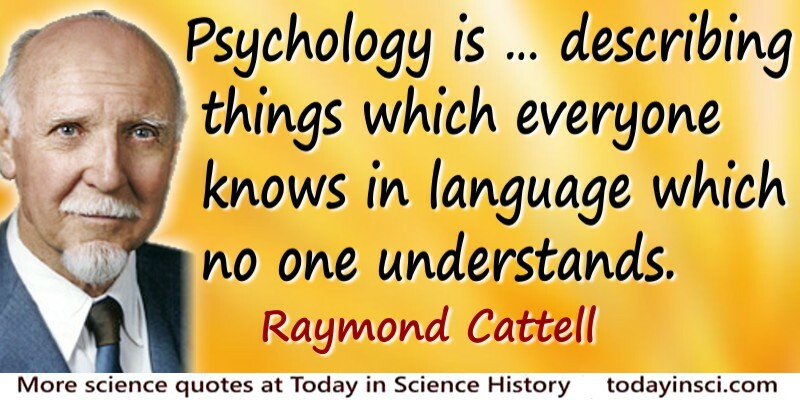 Science Quotes by Raymond Cattell. 20 Mar - short biography, births, deaths and events on date of Cattell's birth.